Apparently, Minnesotans aren’t the only ones who get sick in the winter. Animal Collective has canceled its final seven shows in March – including Monday at First Avenue – because lead singer Avey Tare has a severe case of strep throat. He posted a note on the band’s web site announcing his condition and his condolences to fans. He promises that the shows will be rescheduled. 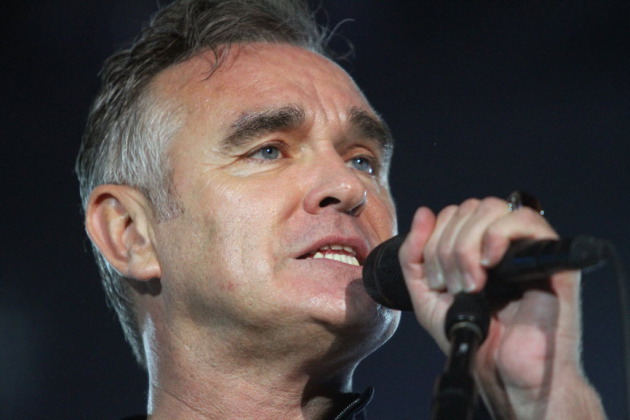 No such apologies from Morrissey, who after two postponements, has bailed on a third Minneapolis show. His gig set for Friday at the Orpheum is off. No more rescheduling. Get a refund at place of purchase. You’ll recall that he postponed October’s date at the Orpheum to be with his ailing mother in England. He called off a January engagement in Minneapolis because several members of his crew were ill. And then he announced he was suffering from ulcers and scotched some other gigs. Now Morrissey reportedly is suffering from double pneumonia, not to mention media overexposure from dissing non-vegan vendors at Staples Center in L.A., the stars of the “Duck Dynasty” hunting show and Sir Paul McCartney.